0274 513 001 or send us an email. so you can enjoy the results. We make owning a pool easy! 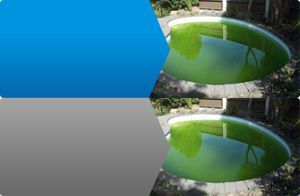 We provide extensive swimming pool services for domestic and commercial swimming pools within the Christchurch urban area. If you need some help with your pool and want friendly reliable service then give us a call. Read what our customers are saying about our services. What a find! Take one very green pond with resident ducks, and turn it back into the family swimming pool it once was. Mike has worked miracles in such a short time frame, and at such reasonable costs. Thanks Mike, for being on time, being a conscientious worker, and most pleasant to deal with. I have recommended you to all my friends. We have been using Mike and Christchurch Pool Cleaning over the last 2 yrs. His service is friendly and reliable. Takes the hassle out of pool maintenance. Happy to recommend Mike to other friends and family. Mike has been looking after our pool and spa for 3 years now. He is always reliable, friendly and professional. He has looked after the normal running of the pool and gotten parts organised and fixed for us. We have recommended him to friends and are very grateful for his services. I have been dealing with Mike from Christchurch Pool Cleaning for many years. It has been a pleasure to deal with Mike, he has been extremely helpful and has given me really good advice and has also gone out of his way to do extras for me beyond his normal job. Mike is very professional and efficient and I would highly recommend his company to deal with. We live out in a lifestyle block and we have had a lot of tradespeople over the past few years as we get the place into shape. Mike has been a key part of this. He has given sensible and cost effective advice about pool systems and heating, and installed the new salt water system with a high degree of skill. 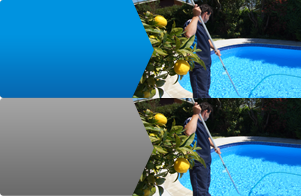 When servicing the pool he is prompt, does a fantastic job at a reasonable price and is completely trustworthy. He comes with the highest recommendation. Mike has maintained our pool and spa for more than five years. He is reliable, knowledgeable and trustworthy, and we highly recommend his services to future potential clients.